Many days we feel poor and needy. We are in need of a helper and a savior day in and day out. I thank you, Lord, that when we look to you and search for you, that you can be found, and that you can fill us with great joy and gladness. You are great, God, and are able to move many mountains. 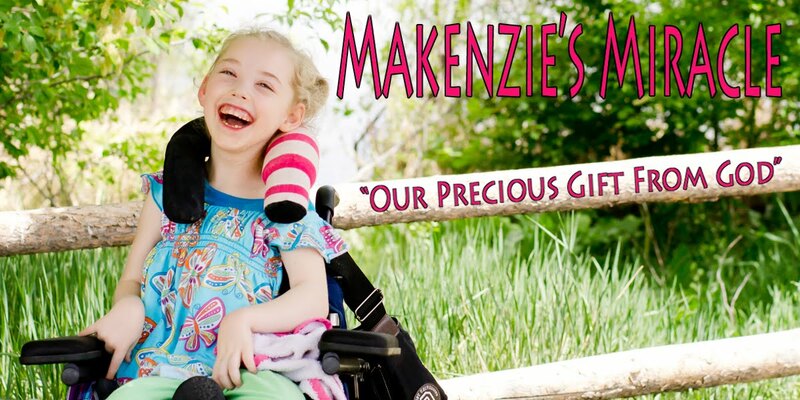 Therefore, we ask again that you would hurry to Makenzie’s aid, and that you would cast pieces of the mountain of brain injury in her life into the sea. We ask that you would not delay, but that your healing touch would manifest in Makenzie’s life and in our lives is someway today. Today was another good day! Makenzie had her first Stem Cell injection. It went very well! She didn't think that it was so much fun as they had to remove the tape and wrap to get to the port or that they held her leg so she wouldn't rip the IV out of her foot! However we got it done!!! Jodie, Charlie, Lil Charlie, Makenzie and I took a walk around the block today! CRAZY!!! There are very few side walks and when there it one it is so unmantained that you can't push a chair on it or there are cars parked acrossed it! We saw a man selling fruit from a cart behind his bike and the delivery guy from SUBWAY getting off of his motorcycle which he had parked on the side walk..lol! Oh there is so much we take for granted here!!! Chris went to the super market today with some others on the ICM bus while Makenzie and I relaxed! When they got back we went to the hotel resteraunt for dinner with Jodie and family. It was late and Makenzie was very cranky! I had to leave with her early as she just couldn't take any more. She has been consistantly been having trantrumsa at bed time! Once she figured out where I would put her to bed (after the 1st night) she pitching HUGE fits! I am so glad she is expressing herself! It is exciting! I have been up since 3:30 am so I am going to leave it at that as my eyes are VERY heavy! Please pray that we finish her treatment and safely return home!!! Pray that the IV stays in place for the week! I have a few friends and family that have had people ask questions about Stem Cell therapy. I researched this for over a year and it is very hard to know what people want to know in a post... it would be a novel if I tried to write every peice down...so.... If you have any questions please leave them in the comments section of this post... it can be annonmous... and I will take some time to answer them in a post in the next few days. for those of you that are interested in Stems cells for your child I also have a few numbers and other resources that may be helpful1. Just let me know. I am off to bed!! Thanks for the prayers and keep believing..... Prayer works! I am very interested in stem cell therapy. I would appreciate any information you have on it. I can't believe after all this time watching her on dropshots I only just discovered Makenzies blog. I have just spent the last hour catching up on everything. My prayers and thoughts are with you all while you are in Costa Rica and I am hoping for a miracle.